Another extra, extra wide load will be travelling the highways between Edmonton and Fort Saskatchewan this weekend. 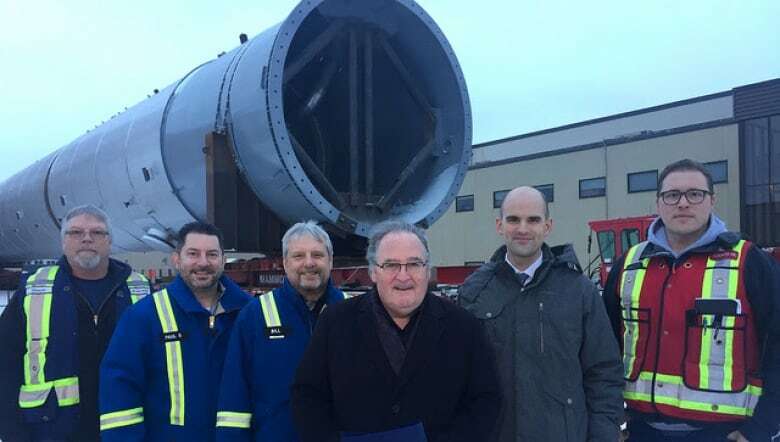 The enormous de-ethanizer stripper tips the scales at 682-tonnes and stretches 63 metres in length — making it a touch shorter than the 800-tonne propylene-propane splitter that made a similar journey to the Industrial Heartland at the start of the month. The trek will take four days, from Jan. 19-22, and could cause traffic snarls along the way. The load will use the entire width of a two-lane highway, including the shoulder, and at some points it will be travelling against the flow of traffic.